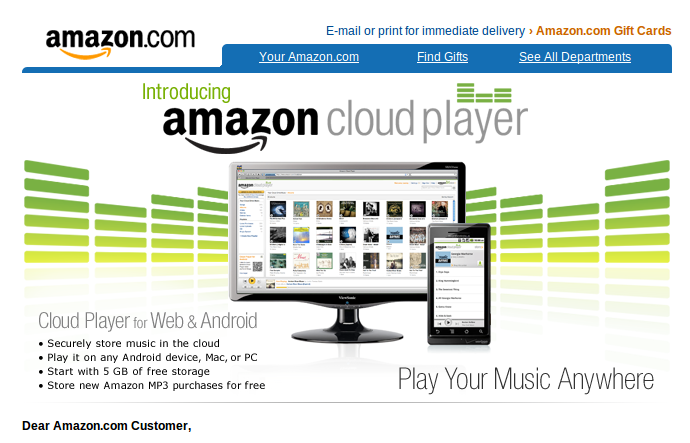 Amazon has just introduced Amazon Cloud Drive, Amazon Cloud Player for Web, and Amazon Cloud Player for Android. Together, these services enable customers to securely store music in the cloud and play it on any Mac, PC, or Android device wherever they are. All customers start with 5 GB of free storage, and all Amazon MP3 purchases saved to Cloud Drive are stored for free. 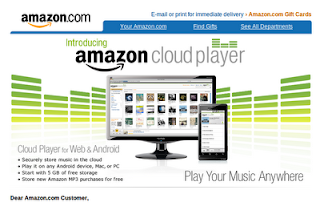 Right now, customers can upgrade to the 20 GB storage tier for free with the purchase of an Amazon MP3 album.